One of New Eagle’s consultants, Kossel Controls, recently took on a client who needed a marine application that required rugged, qualified controllers and displays for his electric foiling sea vessel operating in an ever-changing environment. Kossel Controls turned to New Eagle’s Raptor™ Controls Platform to develop the controls for the vessel. This was an easy problem. The hard part was due to the consultant working remotely from the vessel, which operated offshore. This presented the question: how does the software develop and calibrate on the vessel without many time-consuming and costly trips? To solve this, we proposed controllers, displays and New Eagle’s Raptor™ Telematics, a solution that would allow our consultant to remotely monitor the vessel’s control system and make Over-The-Air (OTA) software and calibration changes. Our New Eagle products also kept the customer on track with his aggressive development schedule at a much lower cost. Taking control of an unstable, electric foiling vessel with the Raptor™ Telematic control solution. 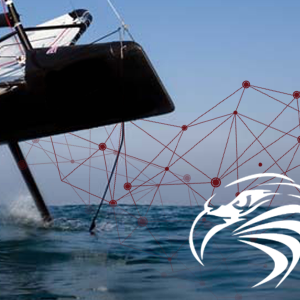 With the Raptor™ Telematic control solution in place, the customer tests the boat. During testing, the data is logged, downloaded, and analyzed by Kossel Controls, who then adjusts the control system logic/calibration values accordingly. This provides the customer with an Over-the-Air (OTA) update to the software, which allows him to make changes at his convenience with minimal interruption between he and Kossel Controls. Using the Raptor™ Telematic control solution, the customer can continue to test and validate software changes in a considerably more successful and shorter time frame, all while saving money on expensive site visits from the engineering experts. 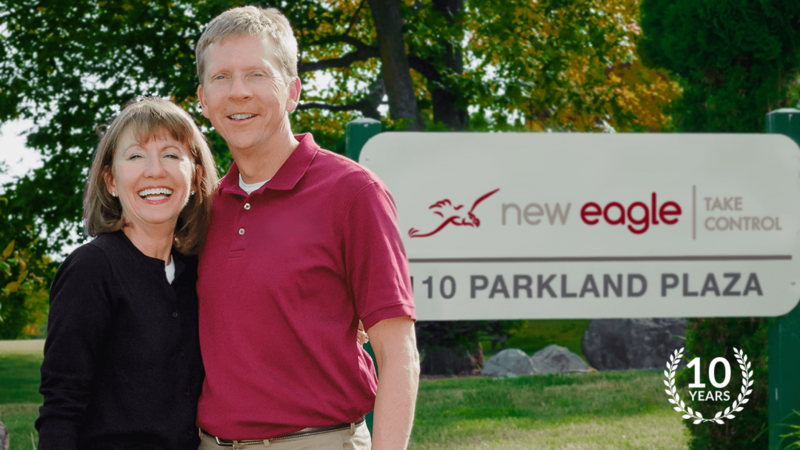 When New Eagle began in 2008, it was the brainchild of visionary husband-and-wife duo, Rich and Mickey Swortzel. With respective backgrounds in engineering and business, the couple decided to take their idea to make control software development faster, safer and easier for developers to the market by launching a small software startup in the way many do: out of their living room. Ten years later, New Eagle has multiple locations serving a global customer base. While no longer operating out of the Swortels’ home, New Eagle remains headquartered in Ann Arbor, the heart of a thriving tech and research community. With access to Detroit’s growing mobility market, New Eagle serves as a thought-leader and trusted partner for electric and autonomous control solutions for emerging machines. Named Ann Arbor’s Coolest Place to Work by Crain’s Content Studio Detroit and recipient of the 2017 Best of MichBusiness Award in the technology category, New Eagle has driven both economic and technological advancement locally and globally. Though New Eagle may have launched into flight from the right idea at the right time, Mickey and Rich attribute their business’s sustained growth to its team and foundational values.